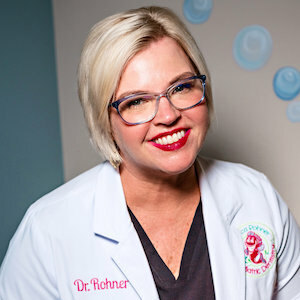 Thank you for choosing Angelica R. Rohner, DMD, P.A. for your child’s dental care. We want to establish a long and rewarding relationship with your family. Just as we are committed to providing excellent pediatric dental care, we also strive to make it affordable. Click here for more information about insurance. PLEASE UNDERSTAND that we file all dental insurances as a courtesy to our patients. However, we do not have a contract with your insurance company, only you do. We are not responsible for how your insurance company handles its claims or for what benefits they pay or do not pay. Most plans only cover a portion of the dental fees, which means you will be responsible for your deductible and the estimated portion at the time services are rendered. We can only estimate your coverage in good faith. At no time do we guarantee what your insurance will or will not cover. We will provide you with the necessary information for you to file your claim. Please check your contract carefully to determine if you are required to see a preferred provider for that company. Understand that if you choose to see a non-preferred provider, your insurance may not pay the full amount or pay at all. Your insurance is a contract between you and your insurance company. Our office is not a party to that contract. Please note: if the responsible party does not accompany the child to the appointment, payment is still expected on the day services are rendered. Please be sure to send a form of payment with whoever will accompany your child. We WILL NOT bill the responsible party.